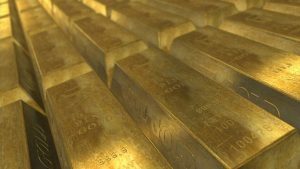 The Central Bank of Russia ended 2016 with 1838.21 tonnes of gold on their balance sheet. Since 2009, Russia has added over 1,100 tons of gold to its reserves – more than China who added about 775 tons during the same time period. Russia has added 26.7 million ounces (approximately 830 tons) to its reserves from June 2014 through April 2018. Officially, Russia and China still do not have enough gold to truly be able to dethrone the USA dollar. But they are taking steps. They, and many other nations, are looking into ways to bypass the US dollar. Turkey’s President proposed the use of gold instead of the USA dollar to the International Monetary Fund (see Turkey repatriates gold and denounces US dollar dominance). The populous and economic powerhouse China has also taken various financial and other steps (watch also US Dollar being challenged by Gold-Petro-Yuan). There is also movement towards the Euro. Part of the intent of the Euro was to become the world’s dominant reserve currency. And while it is not ready for that yet, the Europeans still expect that to happen. President Donald Trump is preparing to impose new sanctions on Iran … following the U.S. withdrawal from the multinational 2015 agreement that stalled Iran’s nuclear program. Washington’s intention to re-impose the “toughest” sanctions on Iran appears to be playing into the hands of Chinese investors and oil futures traders, analysts have come to believe. The eroding of the US dollar’s status in international trade is one of the ‘unintended consequences’ of various USA sanctions. Washington has shot itself in the foot by announcing the upcoming resumption of anti-Iranian sanctions, as Chinese and European investors are already seeking to circumvent US restrictions. By shifting to yuan-, euro- and ruble-denominated trade with Iran, they could deal a blow to the dominance of the US dollar. The contract is thundering into action,” said Stephen Innes, head of trading for Asia/Pacific at futures brokerage OANDA in Singapore, as quoted by Reuters. China passed the U.S. as the world’s largest oil consumer in 2016. Accordingly, China wants to pay for its huge import bill in its own currency (RMB) rather than USD. The statement By ripping up the Iran nuclear deal on May 8 and targeting the Islamic Republic’s energy sector, Donald Trump has unwittingly dealt a blow to the US dollar reminds me that I warned that there would be “unintended consequences” with some of Donald Trump’s policies. There are no similar statements backing up the future value of paper items, like the US dollar or the British pound (scripture, indirectly, teaches their elimination, for details see Anglo – America in Prophecy & the Lost Tribes of Israel). Daniel 11:24 shows that the European leader mentioned in Daniel 11:40-43 (the King of the North) will somehow also be accumulating wealth prior to this time, and that may involve gold accumulation (cf. Daniel 11:38). Perhaps to back up a European supported currency, he also may end up with personal and/or national gold reserves and/or wealth from the Vatican. The Vatican has a vast amount of wealth and is prophesied to be improperly involved with the kings of the earth in the end times per Revelation 17. The Bible teaches that in the end time, the highly indebted nation will be taken over (Habakkuk 2:2-8)–no nation is more indebted than the USA–and on a per capita basis, the UK is one of the most indebted. They will be taken over and conquered during the Great Tribulation (Matthew 24:21; Daniel 11:39; watch also Do these 7 prophesies point to the end of the USA?). Increased USA debt, combined with gold accumulation by various nations, points to economic disaster in the USA’s future (cf. Habakkuk 2:6-8). The USA dollar, instead of being the world’s premier currency, will be worth no more than the scrap/sentimental value of the cotton-paper its notes are printed on. Addressing precisely this issue, Russia’s Finance Minister Anton Siluanov said at the St. Petersburg International Economic Forum that settlements in US currency could be dropped by Russia in favor of the euro. That said, Russia would only engage in such an unprecedented transition under one condition: if the EU takes a stand against the latest US sanctions on Moscow. Is there even a remote possibility Europe would entertain such a dramatic shift in alliances? Well… the EU initially supported Washington’s sanctions against Moscow, but has recently criticized US President Donald Trump’s policy of imposing trade restrictions on other countries. The EU was also hit by the introduction of US import duties on steel and aluminum. The situation escalated even more after the US withdrew from the nuclear deal with Iran, a move which Europe has refused to acknowledge and has slammed the Trump administration for acting unilaterally and without coordination. “If our European partners declare their position unequivocally, we could definitely see a way to use the European common currency for financial settlements, such as payments for goods and services, which today are often subject to restrictions,” Siluanov added, dangling the bait in front of Merkel and Macron. Siluanov concluded that Russia is already developing settlements in national currencies with its trading partners, among which is none other than China, which means that should the Europe respond affirmatively, overnight the entire monetary balance of power in the world would shift away from the US and toward Eurasia. While Europe is upset, it may or may not push real hard against the sanctions with the USA now, the Russian willingness to use Euros will be remembered by the Europeans. The Europeans eventually will make a deal with the Russians that will not end well for the USA. Gentile nations are taking steps that the Anglo-American nations will one day regret. This entry was posted on Thursday, May 24th, 2018 at 3:00 pm	and is filed under Prophecy.